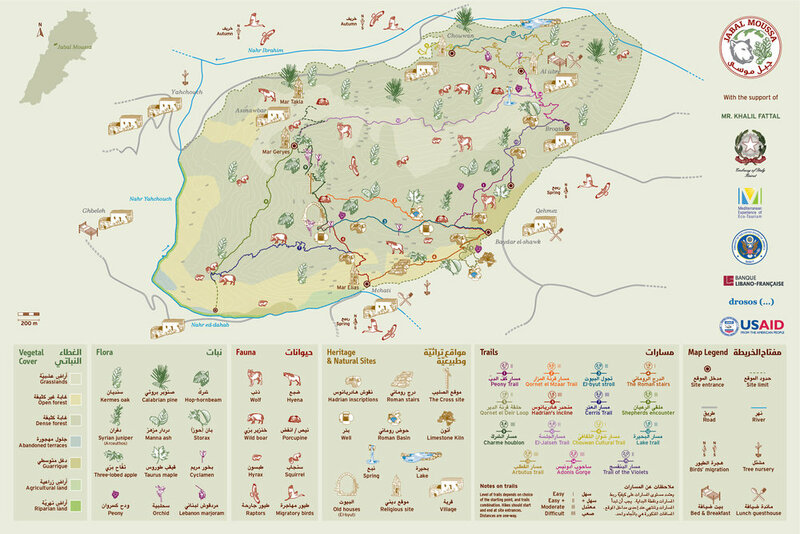 A UNESCO Heritage site, the Jabal Moussa Biosphere Reserve is an amalgamation of ecological systems in the Keserwan-Jbeil mountains that shelters a wide diversity of species. The non-governmental Association for the Protection of Jabal Moussa has been working closely with the surrounding villages and communities to sustainably develop and conserve the biodiversity and cultural heritage of the area. The team’s relationship with the organisation dates back to 2009, carrying over into the foundation of -scope Ateliers and continuing to date in the form of maintenance and upkeep. In upholding the eco-conscious, budget-friendly ambitions of the association, an intricate system was developed to highlight the region’s natural inhabitants. 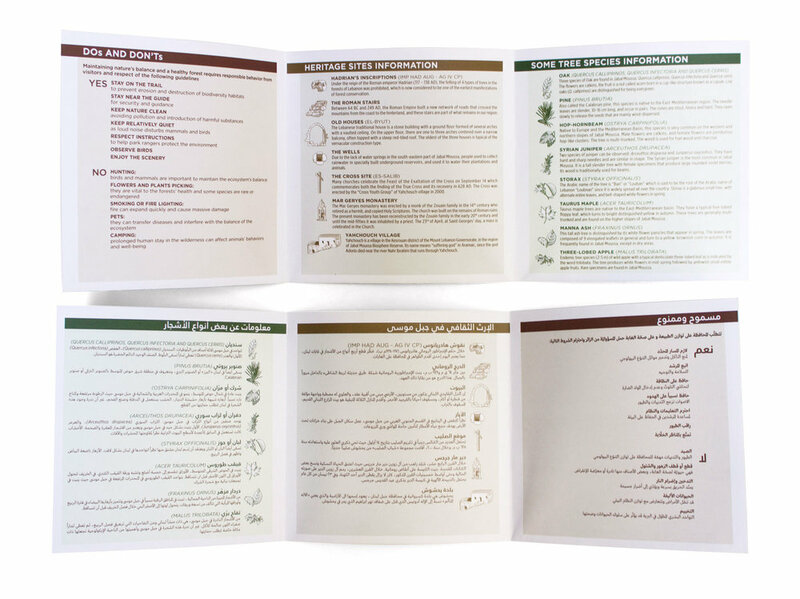 Catalogues of varied flora were also designed. Regular uplifts and additions are brought to the area map, icons and signage systems designating hiking trails, vegetation, animal life and heritage sites. -scope Ateliers helped devise a series of sub-brands for the area, including the sustainable local and traditional food product line, “Our Mouneh”.